During the 2014 Independence Referendum I set myself the task of holding a public meeting in every village hall in Argyll & Bute. I didn’t quite make it but I did host over 70 events the length and breadth of probably the biggest – and certainly in my view the most beautiful – constituency in Scotland. The first was in Lochgoilhead and the last, two years later, in the Ardrishaig old church hall. At every one of those events there were people who had come with hard questions. But there were also – and sometimes they were the same people – visionaries, young and old, who were excited by the unique opportunity that existed to make a new country. To dream and then to make those dreams real. To be there as a glad, confident morning dawned for Scotland. To become citizens from a somewhere of which we could be proud, if we worked hard enough together to create a better future for all. The alternative at that time was just to continue to be subjects of an old fashioned, very unequal state which was neglectful of its component parts, highly centralised and having difficulty adjusting to the 21st century. What a difference five years makes. The visionary optimism is still alive, but it has been sorely tested by the accelerating decline of the UK. Yet it is needed as never before. It must be a bad week if the star turn is Willie Rennie, but he did, inadvertently, produce a memorable contribution to the independence cause. On Thursday at First Minister’s Questions he couldn’t bring himself just to make the case for a second referendum on Brexit, nor merely to join in what is the virtually global condemnation of the Prime Minister’s actions as she drags the UK towards (and nearly over) the precipice of a no deal. Instead he prefaced both his questions with an attack on Scottish independence. And that is the stark choice. Grin and bear it when Scotland is devastated by a Brexit which decimates our economy and society (and that is any Brexit, because there can be no good Brexit as all the statistics show) or have an independent future. Grin and bear the accelerating weakening of our nation rather than take a positive step forward armed with a clear plan and achievable goals. That is the crucial difference between the dismal Willie Rennies of Scottish politics and the visionaries in my constituency. They have a plan and want to do things to help themselves. Willie has none, so he will just let things be done to him. The fact is that circumstances are now much, much worse than they were in 2014. The damage that will be wrought by Brexit – against our will and our votes – is of a scale and size that dwarfs the fears that we had just five years ago. This is nation threatening, and particularly when taken alongside the clear intention of the Conservatives to undermine even the limited gains of devolution. 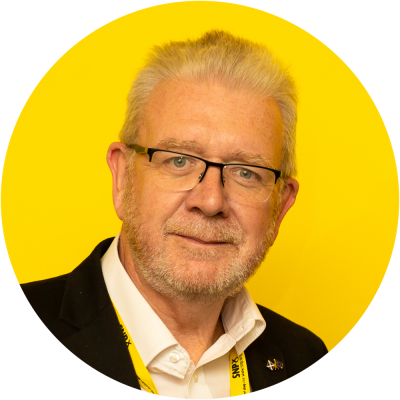 We need to face that even graver challenge with an even more compelling, and unifying, vision of what a Scotland reborn on the world stage can deliver for all its citizens. At the end of the most chaotic, fractious and unpleasant week in British politics in many generations it takes effort to conjure up optimism. But we should always remember that the essential essence of independence is optimism. It is about refusing to allow someone else to set a limit to our ambitions. It is about making the dreams we have all had of a better, fairer, more equitable country real at last. That is why I am keen to get another shot at those village hall meetings. Working together we can move on from vision to solid, nation building, achievement.